A.K. coordinates strategy and represents our Indian Members. He brings experience as an electronic engineer, and worked in sales and strategy in China and Hong Kong before attending Stanford's Graduate School of Business. Allison is AGLOCO's China specialist and represents our Chinese Members. She worked as a software engineer in Shanghai, China before attending the Stanford Graduate School of Business. Anne-Sophie handles AGLOCO's website and her sense of style makes sure it is always up to date. Originally from Paris, she designed media information sites for millions of online users at France's leading television channel. Brian works in business development at AGLOCO. A scientist by education, he worked in marketing and development for several biotech companies before attending Stanford's Graduate School of Business. Cannon is AGLOCO's ambassador within the teenage community. Currently a student at Central Middle School, he will represent our teen Members (and he tried hard to think of a cool-looking name for our company). Dan is AGLOCO's Member recruiting coordinator. He worked in sports marketing and online advertising before helping AGLOCO create its network. Javier is our in-house blogger expert. A native of Spain, he worked as an engineer in telecommunications around Europe before joining Stanford's Graduate School of Business. Founder of AllAdvantage and Discovery Zone. 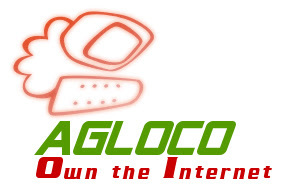 Jim's experience of paying $100 million to members in 1999 and pioneering the “returning value to Internet users” idea, is an invaluable source in guiding AGLOCO's new Development Team members. Ray was the world's first corporate Chief Privacy Officer, pioneering the field of corporate privacy professionals. An attorney and technology expert, he is responsible for ensuring the privacy and security of AGLOCO's Member information and providing guidance on privacy and anti-spam issues. Sam is AGLOCO's Chief Architect for the design of our economic network. Sam's 30 years in Russia and then 20 years in the US give to AGLOCO a unique perspective on managing and implementing our database.